So I actually did it! I wrote my 1,500 word essay and emailed it off to an Australian writing contest with a whopping entry fee of $9.83, $12 in Australian currency. With only a $1,000 in prizes for the top three winners to share, I’m not doing it for the money. I just loved the contest theme. The title had to include the cliche “Dog Eat Dog,” but could not include any other cliches. Do you know impossible that is? Cliches are so much a part of our language that I had to keep going back and replacing these oft used phrases with just a normal sentence. This is actually a “blessing in disguise” because it made me aware of how often I throw these shortcuts into my writing all the time. Someone wrote that cliches were the early writing shortcuts that are similar to the shortcuts we take while texting. 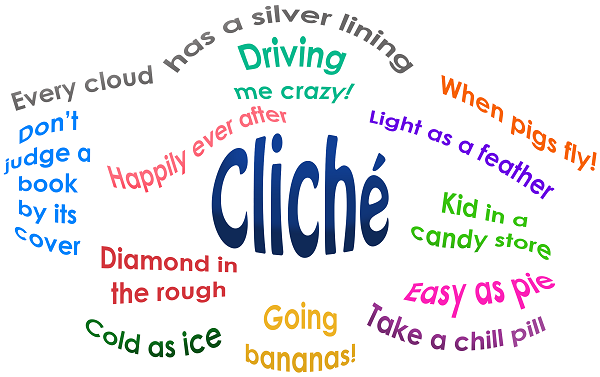 However they came to be, cliches are so engrained in our vocabulary that we use them without even thinking! So think about how often you use cliches today as you have “fun in the sun” but don’t get too “hot under the collar” as it “drives you crazy” just thinking about it.